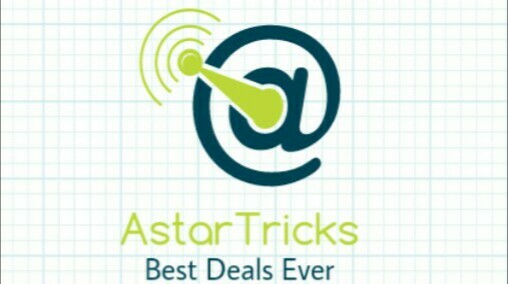 Astartricks.tk is an online platform founded on 06 June 2014 for Digital Resource about latest technologies, Devices, Operating Systems, Social media, Blogging, How to tweaks and other guides. We also review best Softwares, Apps and Games for various platforms. Basically we provide all tips, tricks and hacks stuff related to computer world to fulfill curiosity of geeks. We want to make this platform into “One Stop Place For All Digital Solutions”. We Are Regularly Update Our Blog For Blog Users With Latest Working Tips And Tricks For All Online Contents, Offers And Promo Section Will Providing You Latest Working Offers For Online Deals And Shopping For Save Your Money On Online Shopping. That Also Contains Offer Validity For Save Your Time And Loot It Fast. Both Are Well Respond To Users Comments And Contact Form Email's. So, Feel Free To Ask Our Team For Any Kind Of Tricks And Tips....!!! !